I know I don’t have to tell you that we love our tacos. 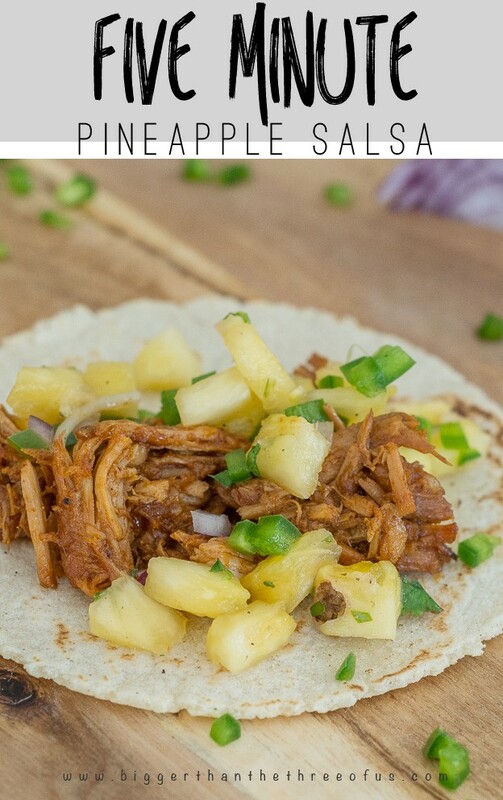 Sometimes though, since we do have tacos so frequently, we need something with a bit of extra flavor to change up our pulled pork. 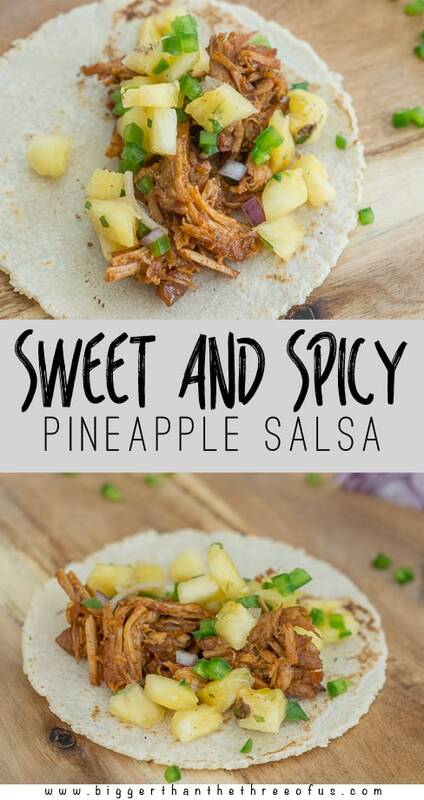 This 5 Minute Pineapple Salsa does just that! I love adorning our tacos with this but have a hard time keeping my hands out of it with tortillas too. Luke is a HUGE salsa eater, like over a jar per week. If you live by a Trader Joe’s try their Garlic Chipotle Salsa, it’s definitely his favorite. The closest Trader Joe’s to us is about three hours so every time we are near it, we definitely stock up. And by stocking up, I mean we get about twenty jars. We get smiles every time we check out. I’m not much of a salsa eater. I mean, when we go out for Mexican food and there’s fresh salsa with a side of pico, I munch on it but I can definitely take it or leave it. Now, a really amazing cheese dip… I’m all in and usually two-handed. But seriously, I don’t pass on this salsa! I can munch and munch while Luke is prepping dinner and look down to realize that I hardly left any for the taco topping. Oops! It’s the kind that you don’t know how much of it you have eaten until most of it’s gone. Tell me I’m not the only one with problems like that! So, do yourself a favor and make this recipe (recipe is at the bottom of this post). I bet it will go in rotation for all your taco meals. 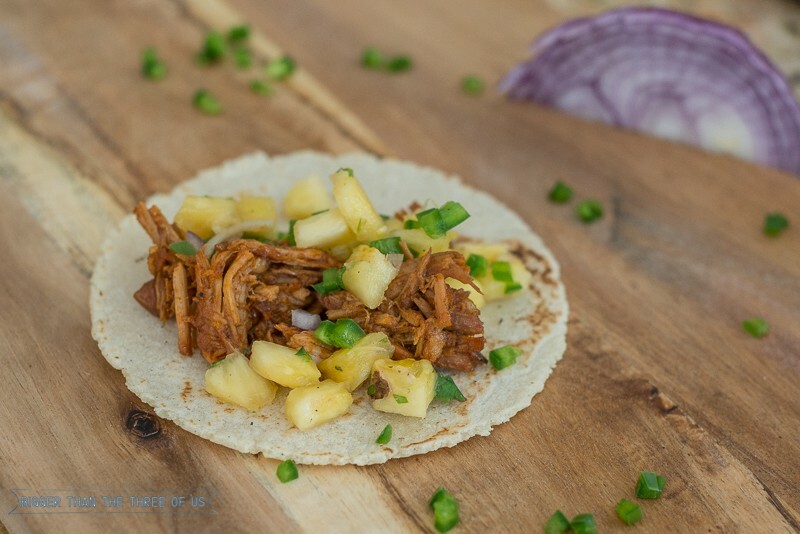 Also, if you missed it, check out our recipe for homemade corn tortillas. 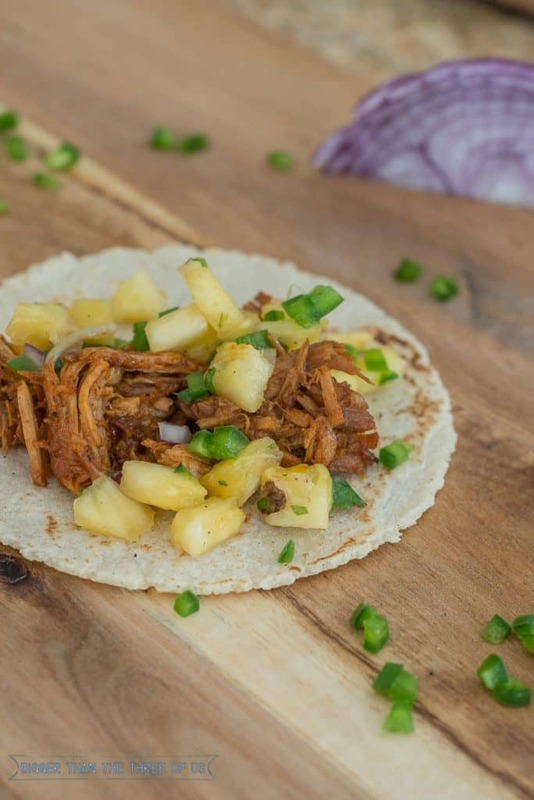 We love the pairing of the corn tortillas, a yummy pulled pork and this pineapple salsa. 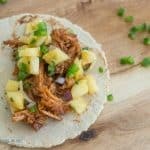 This sweet and spicy pineapple salsa is the perfect topping for pork tacos. Make sure to make extra though because it's delicious to dip tortilla chips in too! Prep all ingredients. Stir together and serve. Add salt to taste.